Outdoor blinds are great for creating comfortable outdoor living areas by providing protection and shade from the sun's rays, as well as privacy from neighbor’s inquisitive eyes. With regards to functionality, one can enjoy afternoons in a better way by blocking out heat with external blinds on the balcony or porch. 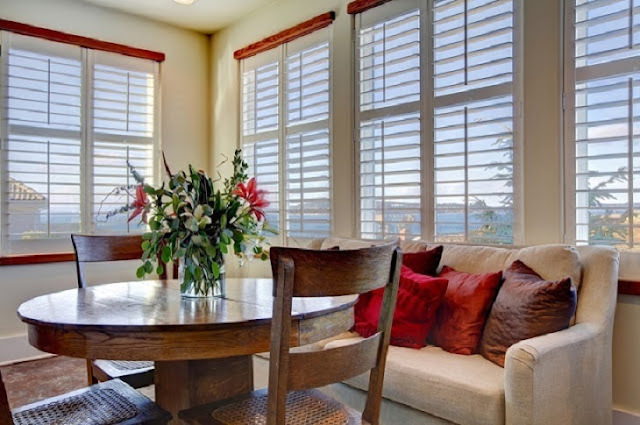 Among the various types of patio blinds available in the market, patio & café blinds are the most popular ones because they come in various colors, designs and styles and are perfect to enhance the beauty of the building. The café blinds are usually horizontal blinds that can be rolled down on the windows with the help of cord. They allow the user to regulate how much sunlight is preferred to be allowed to enter in the room. The café blinds are made from PVC and other net products that are easy to clean and maintain and are known for providing classic continental charm. The interesting aspect of installing patio & café blinds is that people inside can see the lovely areas outside; while people outside cannot see what is there inside. They help in protecting the family members from harsh climatic conditions such as storm, snow, rain and even prevent the harmful ultra violet rays of sun from entering. They can help in getting extra room or help in using an idle part of the home. The café blinds can be removed when it is no more required and can be put back again when desired. Compared to the other types of blinds, the café blinds are less expensive but still can add an aesthetic value to the home. They can be easily installed just by going through the manual. Patio & Café Blinds can help in saving utility bills as it prevents the home from becoming very hot during summer months and very cold during winter months. The expensive outdoor furniture items are usually made from wood and fabrics which can get damaged when kept in the direct sunlight; thus, by installing these lovely café blinds one can keep the furniture in good condition and can help them to last longer. The café blinds help the window to stay cleaner and transparent as the dust, dirt and debris cannot settle on them. In general, the modern homes have a simple design, with basic, neutral colors throughout the house. So, getting these café blinds installed over the windows, porches, and patios can give the entire building a distinct and an appealing look. Use a soft brush or cloth to clean the surface as using an abrasive cloth or a hard brush can scratch the surface. Never roll the blinds when they are wet; wait until they are dried and then only start to roll. Use water and a gentle cleaner in order to get rid of the dirt as well as bird droppings. Refrain from spraying pesticides or garden sprays on the blinds as they can damage the material. Never leave water on the blinds as this can rot the product. Keep the blinds sparkling clean by performing cleaning on regular basis. If any cracks are noticed; contact the professional. Thus, it can be concluded by stating that when choosing patio & café blinds, make sure that they offer an excellent blend of functionality and aesthetic appeal. Compromising on any one of these aspects is not a good idea, as it can be disastrous to the home's overall appeal.